Combines wastewater giants Hydroflux HUBER with EPCO Australia, to visit our new website, click the button below. We are here to help you! If you have a problem, click here to reach our “How Can We Help You?” tool – a quick and easy way for you to tell us exactly what the problem is and we’ll get back to you as soon as possible. Alternatively call us at (02) 9089 8833. EPCO Australia is in the business of proudly delivering water assets that last for generations, on time, on budget and hassle free every time. With over 50 years experience in the water industry, EPCO Australia takes pride in our ability to design, manufacture and install equipment in all categories of the managed water cycle. We are proud of the quality of our products, our service and our team. With more than 70% of our clients returning to work with us again and again, we believe these values are the keys to our success. Relationships – with stakeholders, clients, partners and suppliers – are another core pillar of our business. We believe they should be long term, built on mutual respect, accountability and a focus on solutions. At EPCO Australia we focus on the specific needs of each client because we understand that each relationship is unique and that our job is to make sure you have water assets that do what you need them to do. That philosophy applies to everything that we do, including how we select our vendors and partners. When EPCO Australia recommends a product, we know our reputation is on the line – so we make sure we can stand behind everything we do. 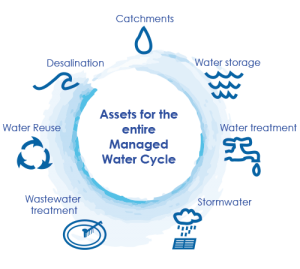 EPCO Australia designs manufactures and installs equipment in all categories of the managed water cycle. Our services include on-site analysis and assessment of existing equipment and upgrading of existing facilities to meet current environmental and technical standards. Our focus has always been on the specific needs of each client. 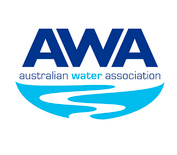 We are dedicated to helping you to create innovative solutions for your water asset requirements.